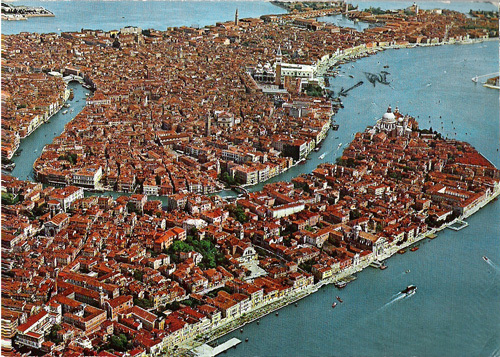 Thumbed across Italia with my two bottles of vino — Milano ⇒ Bergamo ⇒ Brescia ⇒ Verona ⇒ Vicenza ⇒ Padova ⇒ Venezia — the city of Venus, Casanova's hometown. 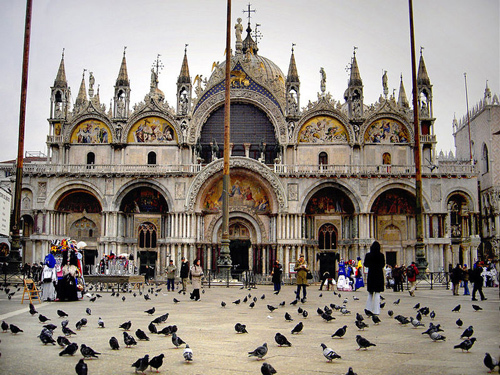 I remember St. Mark Square, Piazza di San Marco, and the pigeons — lots of pigeons. Talked to someone from Murfreesboro taking pictures of the plaza and the pigeons. 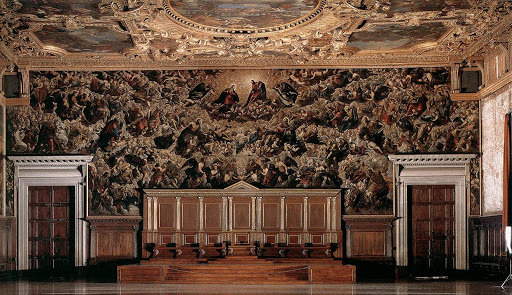 Inside the Basilica of St. Mark, large Tintoretto murals hung on dark walls; or perhaps I was next door in the Doge's Palace, Palazzo Ducale. Do not remember much after drinking those two bottles. Wrote a postcard to Ms. Webster while reminiscing on the dock of the bay. Slept somewhere in the vicinity of Venezia. Don't know where. 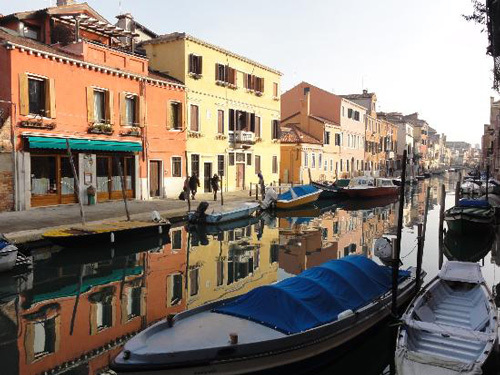 Perhaps up the canal in Mestre? . 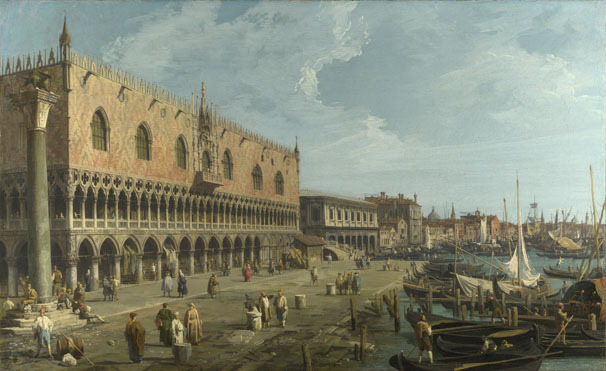 Sometime between Titian (c.1488-1576) and Tiepolo (1696-1770), Venice became the Vegas of Europe. I did not appreciate its decadence entirely till a year later, in 1976, when Fellini released his Casanova. Then I perked up. So that's what Venice was all about. I arrived a century or two too late. I had completely overlooked its cultivated debauchery amongst all the garbagio and spazzatura. I like to think that Fellini, scouting out scenic spots in the neighborhood the day of my arrival, was amused somewhat by a slightly inebriated vagabondo spouting astrobabble in the San Marco Piazza. According to Fellini, Casanova's life was one long Venus retrograde through the signs of the zodiac. 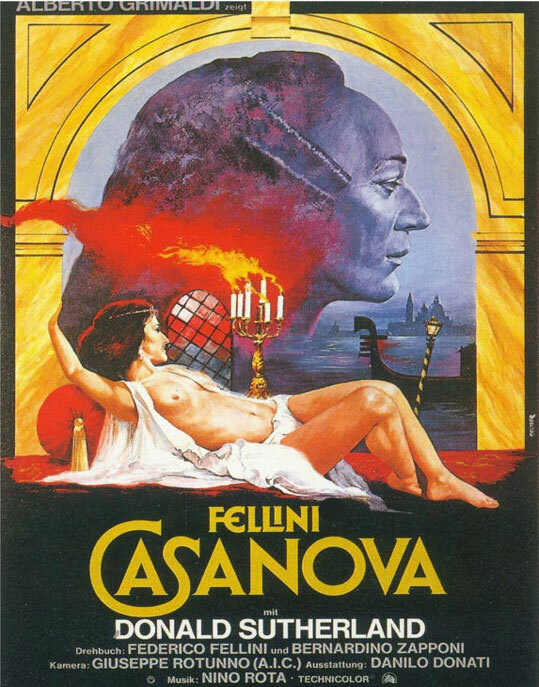 Earlier this year (2012), I submitted an astrological analysis of Fellini's Casanova in the Wikipedia. It was soon removed for lack of anyone else who had also pointed out the same obvious facts. 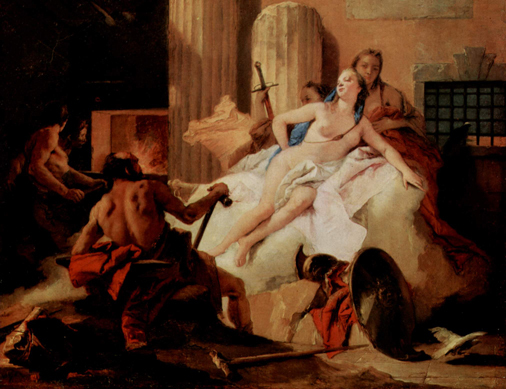 The most obvious fact — Casanova had a lot more fun touring Europe than I did.